I did something really terrific last night. (at least I thought it was!) You should know that sorrel is one of my favorite herbs. It’s lemony and light and so interesting and surprising. I had some fresh sorrel I had just cut from my garden upstate on Monday, that I wanted to use and some fillets of sole. We got home late and hungry. Before it got so late, I had in my mind to roast the fish and make a sorrel sauce. You know, with garlic and olive oil and maybe a touch of cream, but it was late and we were starving, so I came up with this idea. Lazy, I suppose, but a beautiful concept. I remembered this dish I used to make all the time with sorrel when the kids were young. It was sautéed chicken, with lots of onions, and then you throw in the sorrel on top, cover it and it melts. It’s not a pretty dish because the greens turn dark, but it tastes fabulous. So I thought what if I reversed that and put the sorrel on the bottom of the fish, having it melt underneath? Genius – don’t you think?! You wouldn’t see it then but still get all the flavor, having it form a simple sauce. So that’s what I did – and here’s our green and white meal. But it was really, really yummy!! 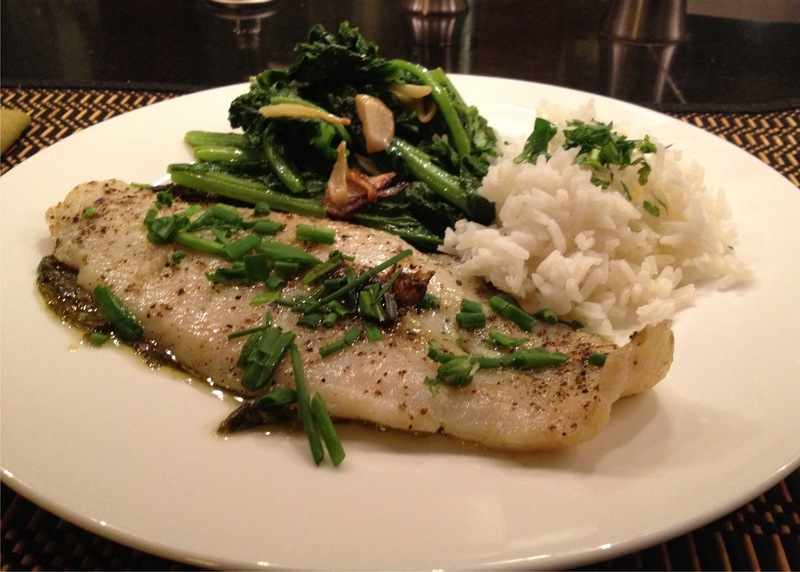 I served the fish with sautéed mustard greens with garlic and steamed Jasmine rice topped with chopped parsley. Preheat oven to 425 degrees. Slick a rimmed baking sheet with olive oil. 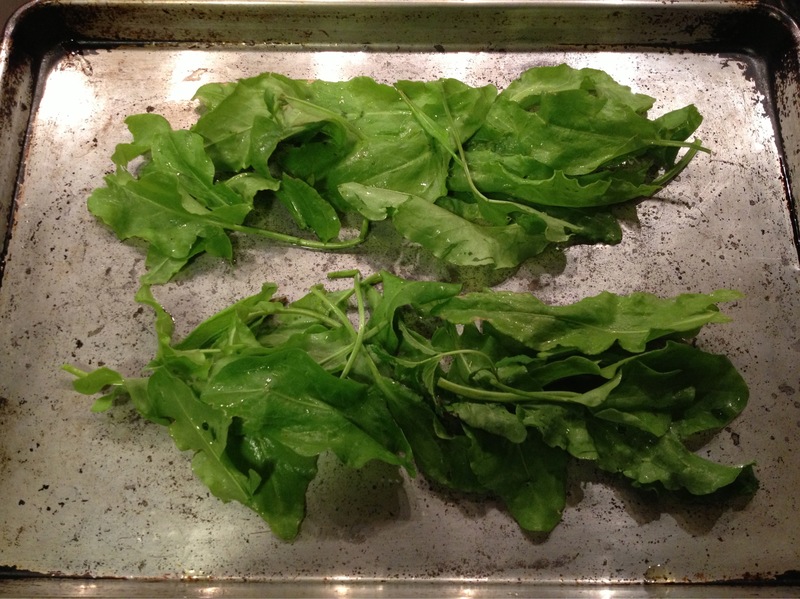 Arrange 2 handfuls of sorrel in the shape of your fish fillet. Drizzle a tiny bit of olive oil on the sorrel and sprinkle with salt and pepper. 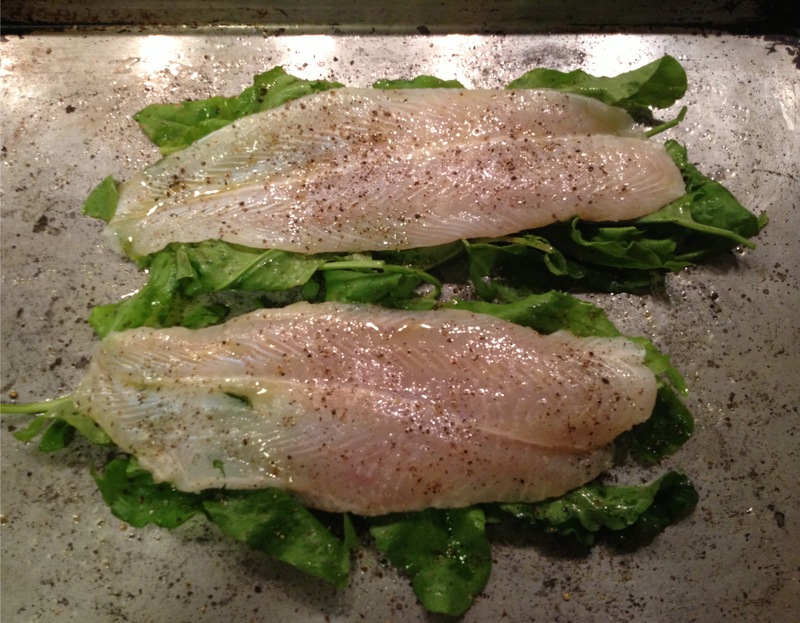 Place your fish fillet on top, drizzle with olive oil and season with salt and pepper. Roast for 10 – 12 minutes, depending on the thickness of your fish. Figure on 10 minutes for an inch of thickness, measured in the thickest area of your fish. When done, carefully remove the fish with the sorrel leaves distributed on the bottom and garnish with chopped fresh chives. This is the beauty of having super fresh ingredients, combined with LOVE, to make a fabulous, healthy meal in no time at all.